this photo essay from a reluctant father (who I also featured in this Love List). Found via wickednweird. this mudroom. Found via The House That A-M Built. this manifesto. You could do a DIY version! 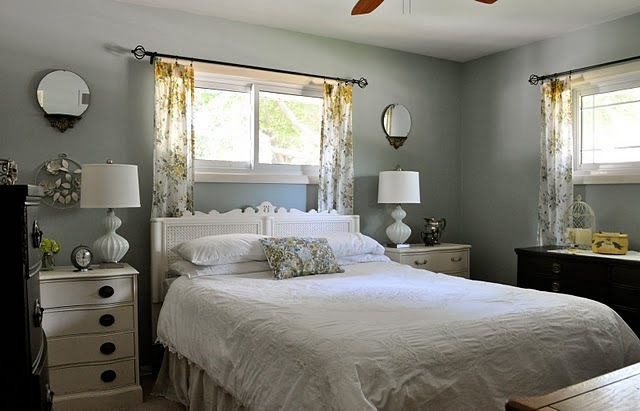 Oh that bedroom makeover is to die for! love! That bedroom makeover is so great. She did a wonderful job. Both the graphics of the silhouette grouping and the super sweet heart initials screamed your style to me! What a great love list... 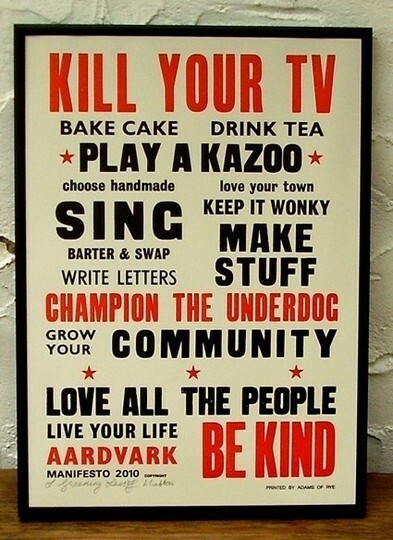 I especially adore that manifesto! :) Have a great weekend! 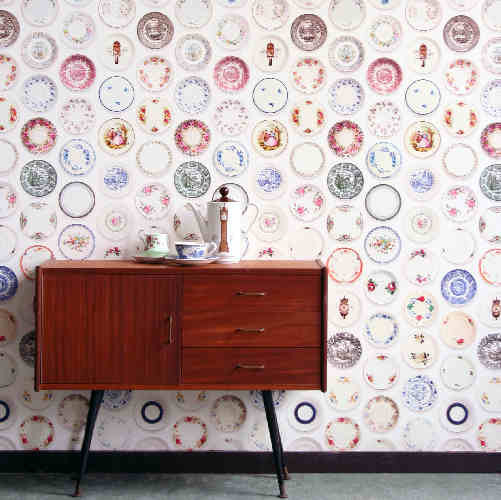 Love the bedroom make over ... and the whimsy in the plate wallpaper. I love the wallpaper, and that is the most gorgeous mudroom I've ever seen! 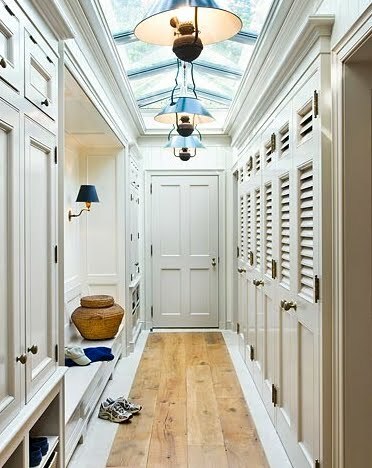 Now - that is a mudroom! I can only dream of so much storage space. I think that one hallway has more closets than my entire house! These items and rooms would definitely be on my love list as well, they are so fresh and beautiful, especially that sign at the end! I came across your post this afternoon while browsing interior design blogs and your take on interior décor is exquisite. I love the window treatment in the second picture. It is true that you must dress your windows appropriately to bring out their true beauty. Thank you for writing and as a special thanks to you and your readers, I would like to offer a 20% off coupon using this code upon checkout: BLG20. O loved every single one of those images.. thank you. And have to find a version of that poster..